Bennie and his parents were walking down this path when they met a young surgeon named Thomas Starzl in Colorado. Starzl was a transplant specialist who felt the only hope for Bennie and children like him was a liver transplant. The prior decade had seen some limited success with kidney transplantation, but the liver seemed a much greater technical challenge. Buoyed by lessons learned having performed nearly 200 liver transplants in dogs, the team was optimistic. It took hours to enter the abdomen, and every piece of tissue that was cut contained veins under high pressure that bled unceasingly. Unable to stop the bleeding, the surgical team watched helplessly as little Bennie died hemorrhaging. The date was March 1st, 1963. The lesson from Bennie’s case was clear – something would be needed to make the blood clot for the next operation. And so it was that months later, clotting factors transfusing, an adult patient with advanced liver disease successfully had a liver transplant. He was awake the following day with the transplanted liver producing large amounts of clear bile. Three more patients were transplanted successfully. But these successes were very short-lived. All of the patients died of complications of the surgery in the weeks that followed. It turned out that the plastic tubing that was being used to reroute venous blood from the lower extremities while the new liver was being sown in served as a nidus for blood clots that found their way into the lungs. There they caused abscesses and damage that contributed to the cause of death in all the recipients. The initial liver transplant trials had failed, and a self imposed moratorium was put into place. Kidney transplantation progressed at a rapid pace, but hope waned that liver transplanation was possible. A rising star because of the progress made transplanting kidneys, Starzl was offered leadership roles at surgical programs around the country with the understanding he would start a kidney transplant program, but not push ahead with a liver transplant program. I pause this story to wonder at what drove this madman who had so far failed repeatedly and spectacularly. It would seem the most important quality Starzl possessed was not understanding what was impossible. Many members of the team were surgeons and had no formal background in immunology. This may seem a disadvantage to some, but Starzl felt this simply meant they lacked the “pessimism fashionable among some of the learned”. It is precisely the learned who opposed any further attempts at liver transplantation. How was it ethical to proceed with this ‘purely experimental’ process given the preceding devastating failures? Starzl defended himself and liver transplantation by proxy at the 48th annual session of the American College of Physicians, held in San Francisco in 1967. ” The clinical trial of new therapeutic methods is based more firmly than ever on prior animal experimentation. Virtually all practices in cardiac as well as in transplantation surgery have been transferred, almost without change, from the laboratory to the clinical ward or operating room. Not infrequently the transition has been made with haste and with an air of urgency that, the generous may concede, was fed by the needs and wishes of desperate patients who had the misfortune of not becoming ill at a later and more convenient time. Historically, the decisions to proceed have often been wrong. Nevertheless, they have almost invariably been based on the hope, however fleeting or erroneously conceived, of potential benefit to the individual patient. Right or wrong, the actions are eventually subject to implacable scrutiny, principally by other members of the scientific but also by intelligent and informed outsiders. Inaccuracies in reporting, claims that cannot be reproduced, and procedures that neither relieve suffering nor prolong life are rapidly identified. Harmful practices are snuffed out quickly; homeopathic ones may suffer a lingering death, but they also ultimately disappear from the scene. Part of Starzl’s fortitude lay in his perception of what he was doing. He never viewed the liver transplant attempts as causing death. These were patients already consigned to die a horrid death. Those that favor not trying talk frequently of the dignity of death, but that phrase implies there is a good death to be had. Sometimes, there isn’t. Family members and parents of those who died did not blame Starzl. There is also peace and dignity to be had knowing that no stone had been left unturned in a desperate attempt to save a loved one. Battle lines were drawn. At Starzl’s home institution – Colorado – the Chairman of Pediatrics who had also been Bennie’s pediatrician would support the trials in children. The Department of Internal Medicine would not. Outcomes were markedly better than before, and proved to the world that liver transplantation was a technical possibility. But there were still large obstacles to overcome. Four children died after 2 1/2, 4 1/3 and 6 months due to infections that developed in the transplanted liver. The three surviving children died one or two years later. There were so many painful lessons to learn. Two of the surviving three children were transplanted when it was believed that primary unresectable liver cancer could be treated with a liver transplant at a time when xrays were the primary tool used to look for metastatic disease. Recurrent widespread cancer claimed these two children. The child that remained was Randy Bennett. He was two and a half when he was transplanted. He died at four and a half of complications related to chronic rejection. The tale of the tape was harsh. By 1969, 26 patients had received a liver transplant. Six lived beyond a year. All were dead within two and a half years of transplant. And still, the team kept going. From 1963 to 1979, 170 patients were transplanted. Only 29 of those patients survived. The question asked with growing urgency of the few centers that still persisted was how they could keep going? It was the rare successes that gave the transplant team hope, while the pessimists focused on failure. It turned out that the barrier to long term survival was not the surgery, but dealing with post operative rejection of the transplanted organ by its host. Long term survival would require advances in the nascent field of immunology as applied to solid organ transplants. The hero in this tale was a Swiss pharmaceutical company called the Sandoz Corporation which had discovered a drug called cyclosporine. One of their immunologists, Jean Borel, had shown this drug narrowly suppressed the immune system, and the subsequent animal experiments with rejection had been remarkable. The story was almost too little, too late for Sandoz Corporation executives who had decided to abandon the drug due to cost, and what was perceived as a limited market. Luckily, a team in London lead by an English transplant surgeon named Roy Calne flew to Basel, Switzerland to appeal the decision and allow human clinical trials with the new drug for kidney transplant to proceed. The English had a head start on Starzl, but the early data from England gave Starzl pause. Cyclosporine turned out to be toxic to the kidneys at the dosages that were being used. A close collaboration between a Sandoz scientist named David Winter and Starzl began as planning ensued for clinical trials in the United States. Over the phone, David Winter read the pathology reports of kidney biopsies that first demonstrated kidney injury from the drug, and second, injury from uncontrolled rejection. Starzl decided that monotherapy with cyclosporine would be the wrong approach to take for the US trials. Using prednisone concomitantly with cyclosporine early on would allow lower doses of cyclosporine and less drug related nephrotoxicity. Luckily David Winter from Sandoz agreed, and the trials began. Days later, results from the English team were published. All the patients had evidence of kidney damage, three patients had developed leukemia, and 5 of the patients died. Opposition to the trials from the medical community was now significant. In England, Roy Calne faced opposition for transplants from anesthesiologists who refused to participate, deeming the surgeries ‘macabre and unethical’. Nephrologists at Starzl’s home institutation circulated a letter to all nephrologists in Colorado inviting comments on ‘immoral and unethical situations’ that had been observed related to transplant. 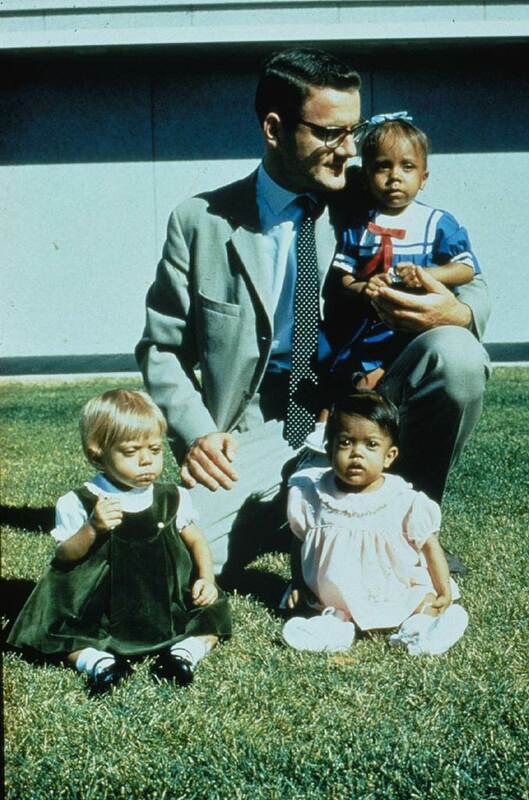 Yet Starzl persisted and this round of kidney transplants with cyclosporine were a stunning success. Just as negative results from Europe and Boston were pouring into Sandoz and the company again contemplated abandonment of the drug, the Colorado protocol kept cyclosporine alive. Replication of the Colorado results in other US centers was more than proof of life, and a new era in transplantation finally dawned. The next steps and hurdles to overcome would take place where I grew up, at the University of Pittsburgh. The first four liver transplant recipients in Pittsburgh died. The pressure was intense. Callers into local radio stations demanded that the program be closed. But the 5th transplant recipient lived. And so did the next 22. Pittsburgh became a haven for patients from around the world who had no interest in the dignity of death. Hospital wards became filled with patients at the edge of death. The influx of these patients to the medical services was resisted by the medical residents and interns. On June 30th, 1981, the entire medical training program signed a resolution denouncing liver transplantation as an unrealistic objective, and an ‘unethical pursuit’. Starzl shrugged, and from that point on, admitted all these patients to his own surgical service that at the time consisted of two surgical residents and two attendings. Thomas Starzl was a steam roller, a crusader imbued with religious zeal. Once biology had bowed to him, administrative and bureaucratic obstacles were like annoying gnats to be swatted away. The story is a striking one because so much of the focus in 2017 is on what medicine cannot do. The failure of coronary stents in a sham trial has reinvigorated calls for sham trials being performed routinely prior to adoption of new procedures. The motive of industry and doctors who work with industry is used to question and dismiss findings. Principal investigators who delve into negative trials looking for subgroups that benefit are met with derision by some. Beware of clinician and researcher bias. Its blinding, we’re told. In this story, Thomas Starzl was guilty of every one of these sins. Not only was he guilty, but he failed repeatedly to show success. The ‘average’ liver transplant recipient died. This was true for almost twenty years. To the outsider he was a brash surgeon giving hope where there was none. In today’s lexicon this is a tale of medical reversals. It is also a tale of progress. Even after he succeeded in clearing the technical surgical hurdles, it took close collaboration with a pharmaceutical company to finally find a path to success. The early trials with cyclosporine failed, and it was only a belief grounded in biology and animal studies that made Starzl believe. Starzl was biased. Thank goodness. Bias can blind. Or illuminate. I can understand that those opposing liver transplant for ethical reasons were not bad people. They just could not see what Starzl saw. And it is certainly the case that for every one man like Starzl there are countless other Don Quixotes, futilely charging windmills with no chance of success. We need the pessimists because most attempts at progress in medicine will fail. But we also need the relentless optimists, because just maybe, one of them will break through and make the impossible possible. Some have a utopic ideal that advancement in medicine may take place in some sanitized fashion that avoids needless dead ends. Yet, travel in uncharted territories means that dead ends aren’t known beforehand. The eventual success of organ transplant was built on the crumpled tiny bodies of children. Knowing what we know now, it seems utterly foolish that Starzl would have attempted that first transplant on Bennie Solis. But he did. And for that I stand in the debt of many. Because twenty seven years later another little girl was transplanted. This time it was my 13 month old daughter. 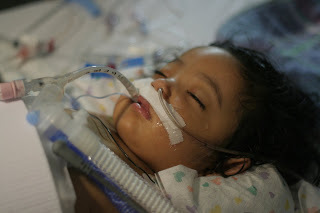 She had been diagnosed with biliary atresia when she was 3 months old. I remember the phone call, and the details of the day I found out like it was yesterday. On arriving home from the doctors office, I cradled her little body in my arms took her to my bed and sobbed. Transplant was mentioned, but I couldn’t comprehend it. The truth is that most physicians don’t know much about transplants because it remains a relatively rare procedure done at a smattering of academic centers. Pediatric transplants are even rarer. Transplant was no great solution in my mind – what I knew about transplant came from dealing with sick patients on the inpatient heart failure units suffering complications of rejection or immunosupression. But as the year progressed and my little girl got worse, a transplant became her only hope. 10 months later she was in the hands of transplant surgeons in Pittsburgh in an operating room where Starzl, now retired, still loomed large. Hours later she emerged. She had been yellow for as long as I could remember. And now she wasn’t. 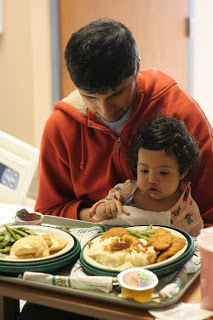 By the time Ishani was transplanted, 5 year survival was close to 95%. The procedure had become routine. Today, it is rare to die from biliary atresia. A little girl transplanted in 1970 – at a time when most wanted Starzl to stop what he was doing – Kim Hudson, was alive and thriving in 2012. She has the distinction of being the longest living liver transplant recipient. It is not lost on me that this burst of activity that eventually saved my daughters life took place at a time that the nation opened its pocket book to spend its dollars on health care. In 1965, 5% of US GDP was spent on healthcare. The intervening years have seen explosive growth in health care spedning and we now spend 17% of GDP on healthcare, and it hurts. The nation groans under the weight of health care spending, and consequently the focus has shifted to our return on investment for the dollars spent. A cursory look shows that the US lags behind nations that spend far less on important indices such as infant mortality and life expectancy. One way to spend less money per capita would be to stop doing transplants in children. That maneuver would have no impact on overall life expectancy because there are so few of these children, but it would save a lot of money. I worry that we travel a path that favors the worried well over the small minority among us that have the greatest to lose when we turn our backs on them. These forces have always existed. The Governor of Colorado at the time of Starzl’s residence there upbraided him for performing a liver transplant in a 70 year old. He felt the public good was not served by such actions. The argument is a worthy one to have. The resources of no society are unlimited. I am wary, though, of the number of doctors now making these arguments. It would seem a physician is uniquely unable to discharge his responsibility to the patient who arrives at his door seeking help and larger society. It has always been the physicians charge to advocate for the individual patient. If not us, then whom? I remain optimistic. I see a path forward in the reams of data that shows unequivocally that the lowest yield health care interventions we perform are in the worried well. It seems the dogma of yesteryear with regard to an ounce of prevention may have been overblown. The healthcare system is at its worst when attempting to ward off future illnesses and at its best when the 44 year old with refractory ventricular arrhythmias flies through the door. If we have to choose where to spend our tax dollars, can we keep trying to save Bennie, and let screening mammograms be somebody else’s problem? Conventional wisdom holds that making healthcare great again will involve a focus on things like population health outcomes, public reporting, and value based care. But this was never what made healthcare great. It was always the people – Thomas Starzl, Carl Groth, David Winter, Bennie Solis, Julie Rodriguez, and countless others whose name won’t be recorded anywhere. The challenge now more than ever is to figure out how to get out of their way. Thomas Starzl passed away in his sleep March 4th, 2017. Ishani turned 11 on December 29th, 2017. A thrilling story, Anish. Thank you. It asks a profound question: How much do we owe future generations? And how would one even approach an answer to this? I guess the least we can do is to always do the science honestly. Anish, this is my favorite of all your posts. Beautifully written. There is no question transplanting a child is worthy of investment, but of course, as a pediatrician, I am biased. The practice of medicine will never be great when we are checking boxes, it is about saving Susie, Johnny, and Ishani’s in the world. When we lose connection, we will lose a great deal more than people realize. Starzl likely became close to those who survived having a vested interest in their future. Many of us can relate to that level of connection with our patients. Good work Anish. Is it the purpose of modern medicine to spend all that it can (u.S. costs of course) to save all of us any route to death, be it a 95 year old or a child? Children are staving in Yemen, but saving one child here is a noble goal. Say you are 75….have type 2 diabetes and an infection that may be due to a heart valve. Are you okay if the system denies you the required surgery to fix the valve because you Are Deemed Too high risk? Should you be prohibited from paying for it as that would use up system resources? If you are poor and can’t afford insurance and have no resources do you think the tax payer should pay for it – because all life is sacred? I think my answer is yes. Now might you answer my question? But there is a modification to single payer that largely solves the problem….Hadler proposes a single funder (taxpayors) and dual payor…some of the tax funds are assigned to an individual to spend on any medical procedure he chooses…..wise and prudent or not. Yea, that makes you a “competent” parent. My wife is a neonatal nurse, she sees her share of million dollar babies who end up dead even though the ” fit parents” rely on God and prayer and want all the king’s ransom spent on their hopeless case. Barry, we spend millions on Hail Mary care at the same time we look for ways to deny basic health care to poor people (including children), even now not funding CHIP. That’s not due to our “litigiousness” culture, that’s due to Republican meanness and feather bedding. But hey, we can afford to give those hard pressed corporations and rich people a tax break – because after all they need so much help. You are among the greatest medical essayists: vivid, accurate, pertinent, moral. Question for you: Do you think the ends can justify the means? Your position on this question is not entirely clear from the piece. Aw shucks, tx michel. I’m just a plodder trying to figure it out as I go. I think Starzl noted that as long as one tries to do the best for the patient in front of you, the ends or the needs of the collective Matter little. Right. The question arises when you try to do the best for the patient in front of you using means over which others seem to also have a claim, which is what happens when payment for healthcare comes from an earmarked social pot and others sick people are also in need. The conflicts and resentments are inevitable. There is no utilitarian formula that can avoid them, or even minimize them. The healthy majority rather than advocates for the minority. This has not traditionally been our role. 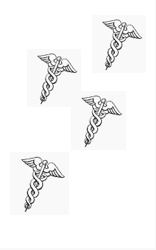 A British research group of four physicians headed by Peter Medawar, M.D. began their studies of immune tolerance shortly before 1950. These studies eventually led to an understanding of the pathophysiology for inducing immune tolerance twenty years later. Their research helped begin the success of kidney transplants and eventually liver transplants before 1970. During the 41 years of our Primary Healthcare group, we had the privilege of participating in the healthcare for 4 of these recipients — all living past 18 years of age, 2 since birth. Please submit this to the Wall Street Journal or NYT (may need word count reduced) or the New Yorker where length is not an issue.